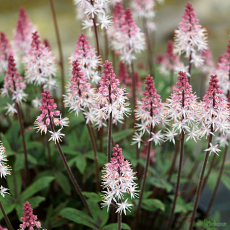 Heuchera Heucherella and Tiarella. 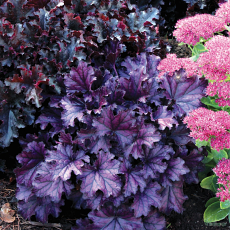 One important thing about Heuchera, Heucherella and Tiarella, is that bees love them so that’s a really good reason to grow them. 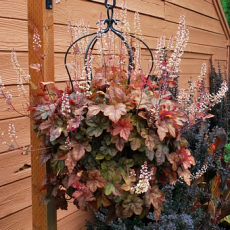 You can grow Heucheras, Heucherellas, and Tiarella in almost any situation. 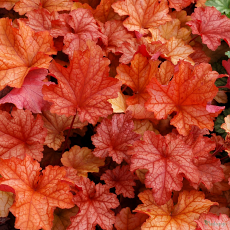 Great for growing in borders, woodland, slopes, containers, and hanging baskets. 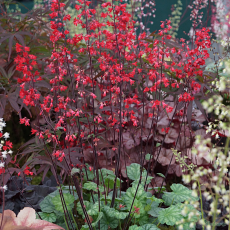 There are Heucheras to suit every position. You just have to make sure that if your garden is sunny you only pick ones that love the sun. 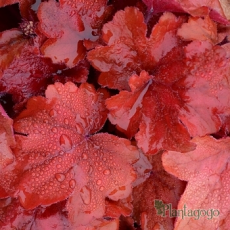 Gardens in dappled shade are the luckiest ones as most Heuchera Heucherella & Tiarella will grow very well in that aspect. 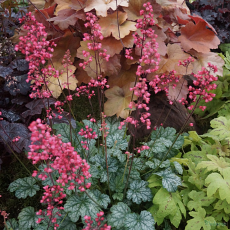 You can even grow some Heuchera Heucherella & Tiarella in deep shade Heuchera ‘Citronelle’ is a good one for that position. 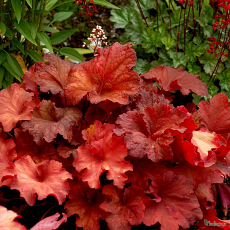 Heucheras will also stand periods of drought.